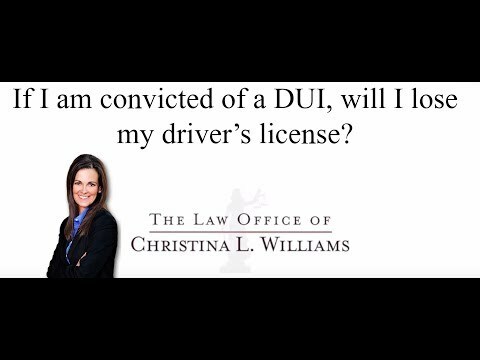 If I am convicted of a DUI, will I lose my driver's license? It is possible that you could lose your driver’s license if you are convicted of a DUI. The goal would be to keep you driving under a probationary license or an ignition interlock device. At our office, we would try to contest the DUI and ultimately prevent the driver’s license suspension, but if for some reason we were unable to do that, there are other avenues to keep you driving.